OnePlus has been bringing out smarter and pricier phones with each new version, and the OnePlus 7 flagship will probably be no different. The firm’s CEO Pete Lau recently presented the prototype of its next 4G smartphone in the MWC 2019. However, when the audience asked for a sneak peek, he humorously avoided the requests saying that he did have a OnePlus 7 in his pocket. 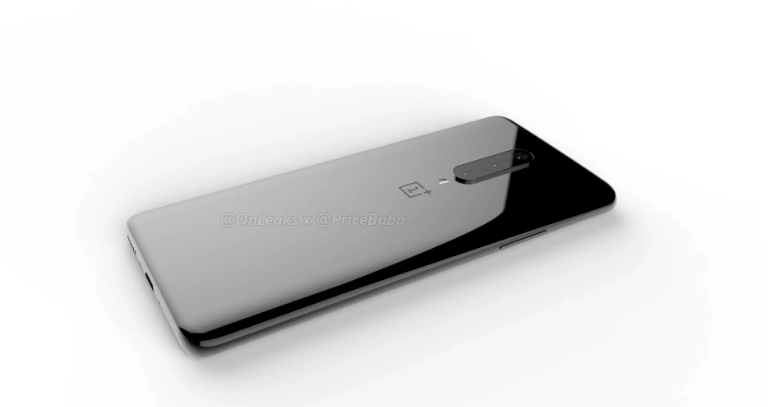 Not too later, leakster @OnLeaks came out with the 5K renders in association with Pricebaba to reveal the OnePlus 7 flagship in a new light. As far as information is concerned, a lot has already been known about the next OnePlus 4G model. Here are some top specifications and pricing details to keep you on your toes especially if you are a OnePlus fan. 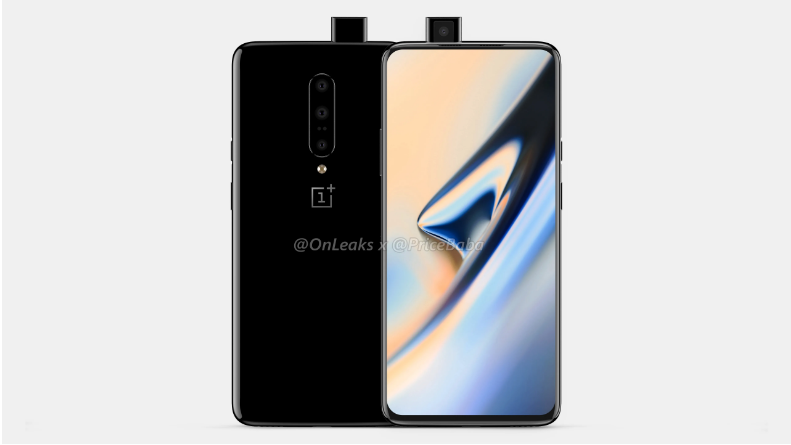 The first thing the 5K renders reveal is that the OnePlus 7 had three rear cameras with a pop-up selfie camera mechanism to help selfie enthusiasts revel when they need a special effort from their device to make selfies more lifelike. The leaked out images also suggest that the new flagship will have a screen-to-body ratio of more than 95 percent. That is impressive since OnePlus has always stressed on making screens as large as possible to provide the best visual experience to its consumers. In a first for the brand, OnePlus has introduced a pop-up mechanism to the selfie camera although it is unsure whether such a mechanism will actually help consumers to take better selfies or not. Still, since the pop-up thing is common in the digital landscape, at least the idea to have a pop-up selfie camera does make some appeal to the selfie-lovers, to say the least. OnePlus 7 has a 6.5-inch display, and it is expected that like all its previous phones, it has stuck to a Full HD+ resolution in the model too. With a dimension of 162.6 x 76 x 8.8mm, the phone is slim enough to carry without having to keep thinking about the bulge in your pocket. The thickest point of the phone measures a 9.7 mm at the camera bump which is nothing to worry about at all. 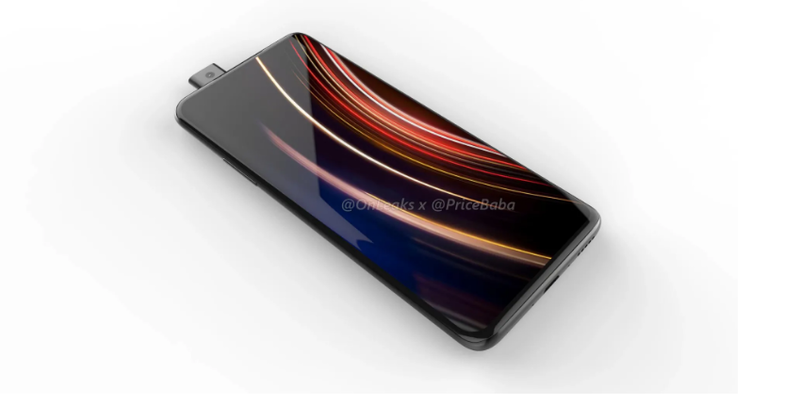 Lau had confirmed in the MWC 2019 that wireless charger is not available with the OnePlus 7 flagship. He did not mention the processor too, but rumors are rife that the phone will have the best Qualcomm SoC or the Snapdragon 855. 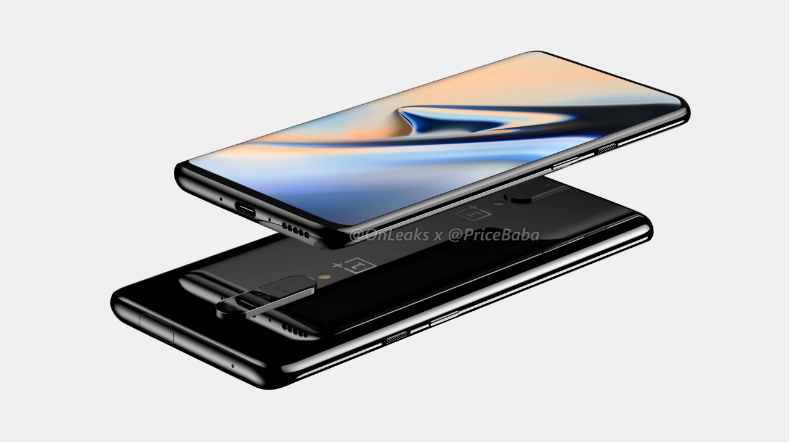 The inclusion of the most advanced chipset at its core had made rumors popular that OnePlus 7 will probably be a 5G model, but the company had revealed that it is 4G but the firm will bring out its first 5G model very soon. With an enormous 6 GB of RAM and a super-charged 4,150 mAh battery, the impressive OnePlus 7 is poised to work fast enough with an Oxygen OS based on Android 9 Pie. The phone will definitely be a stylish version, but the depth of rumors is limited to all these details until now. Coming to ports and the camera buttons, the USB Type-C port is placed along with the loudspeaker grill of the phone at the bottom. On the top edge, there is the pop-out camera mechanism cutout along with a mic. The volume buttons are placed on the left edge, and the power button and the alert slider is on the right side of the phone. 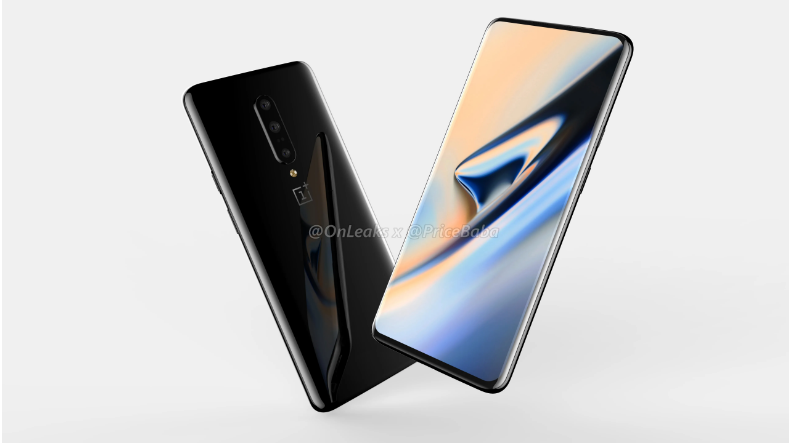 The company has not revealed the exact availability date for the OnePlus 7 model, but looking at the firm’s launch cycles in past few years, analysts believe the OnePlus 7 will be made available most probably by June 2019. The launch of the 5G version will probably be also available by then. The price of the base variant of OnePlus 7 is expected to be in the range of Rs 40,000 to Rs 44,000. 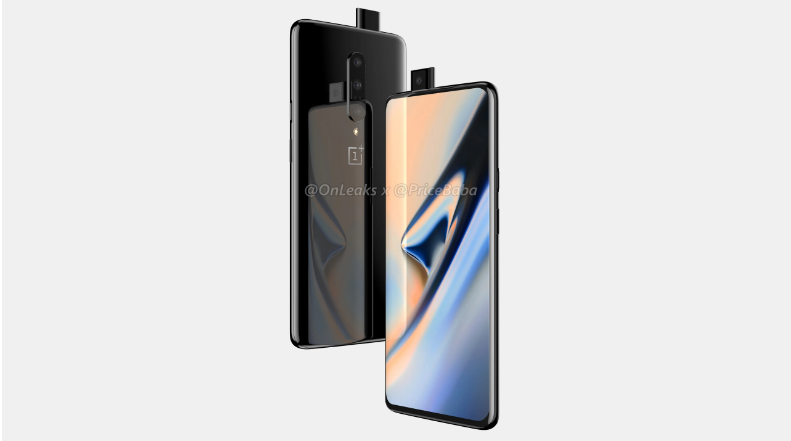 This price is anticipated taking into consideration that OnePlus has steadily increased the price of its phones with each new launch; hence, OnePlus 7 will probably be no different. So, expect the OnePlus 7 to be the priciest model from the company.